Latest treatment from USA – reduces break-outs and can be used on active acne. 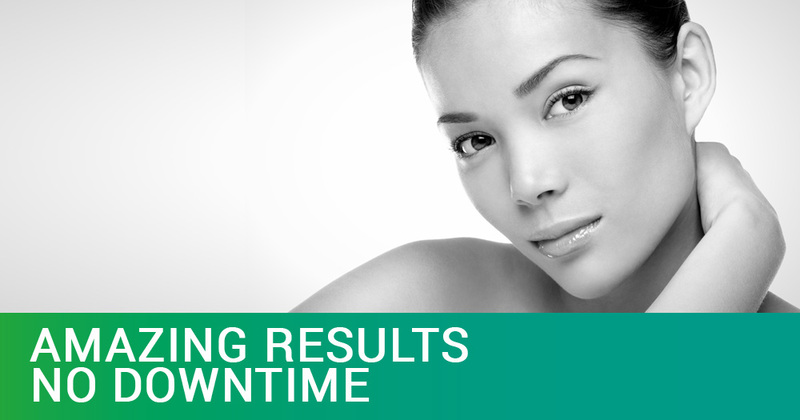 Amazing Results and No Downtime. The Specta Laser Peel is a brand new treatment in the UK which is effective in reducing, lines, wrinkles, as well as being one of the most effective new treatments for blemishes like acne and blackheads. Our therapists are putting all of their regular clients onto this new miracle facial and the results are astounding. The treatment has been dubbed the “Hollywood Peel” because there are several A-list fans of the treatment – including Angelina Jolie and Kim Kardashian – and it’s become one of the most popular facial treatments in Los Angeles. The reason for the unprecedented popularity of the Hollywood Peel is because it has immediate positive effects without any down-time, or discomfort. The treatment takes around 45 minutes and so can even be done in a lunch-hour and clients can go back to work immediately afterwards. In the USA they are recommending that four Hollywood Peel treatments should be enough to get clearance of even the most stubborn acne and we are certainly seeing those kind of results in the UK as well. First you attach the eye protectors and then a carbon mask is applied to the with a cotton wool pad. It’s just a carbon powder and water and this is what the laser is attracted to. The carbon bonds with the sebaceous glands which create oily matter (sebum) which in turn causes spots. When the carbon is heated by the laser the sebaceous glands get destroyed. The first part of the treatment is the Spectra laser mode which heats up the carbon mask and the skin, which tightens the pores, fine lines and reduces any acne. It’s almost pain free and many women liken the sensation to be lightly pinged by an elastic band. The second pass is done with the Q switch laser which snaps off the carbon, exfoliates the skin, dries out any blemishes, tightens the pores and is great for resurfacing as well. This laser makes a louder sound and snaps the carbon off the skin completely and takes off between 15 to 30 microns of the skin with it. You can see the smoke come off the skin when it happens but this is merely the carbon evaporating, not the skin. The final pass with the laser encourages collagen and elastin growth in the deeper dermal layers which creates more youthful looking tighter skin. There’s no bleeding or downtime from this treatment but it leaves the skin with a healthy radiance and glow to it. Many Hollywood stars are having this a few hours before they do red carpet appearances, hence the name of the treatment. For the first four treatments it’s a good idea to have one every other week and then after that to go to a monthly treatment. This will eliminate acne and then keep it under control so that it doesn’t come back. Treats – active acne, acne scars, large pores, Melasma and pigmentation, age spots, freckles. Spectra Laser single session is £200 for face, and £250 for face and neck.